The 2-piece BarWise bottle opener set by Joseph Joseph includes the BarWise Magnetic bottle opener, as well as the BarWise Easy-action corkscrew. The set of two openers allows you to open any imaginable bottle and they make not only for a great gift, but they are also indispensable for your own house bar. 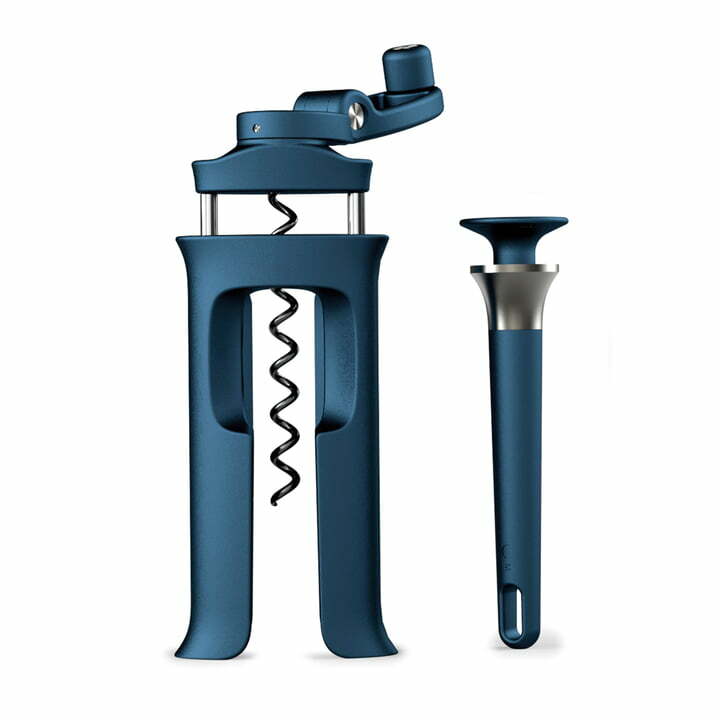 The BarWise Easy-action corkscrew with integrated foil cutter simply needs to be pushed onto the bottle's neck. Then wind the handle clockwise to drive the screw into the cork. 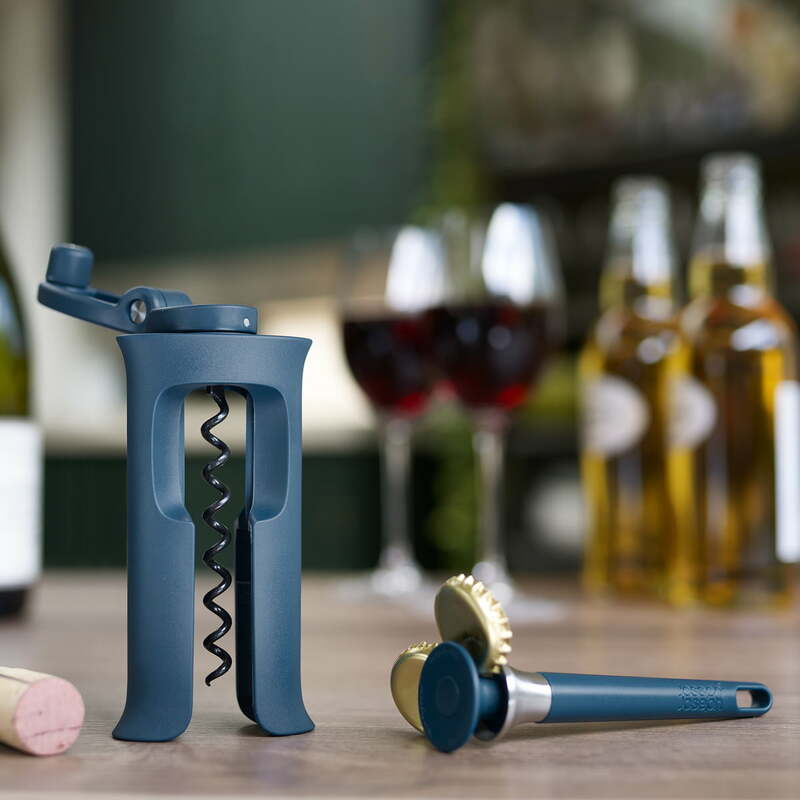 Continue winding and the cork is removed effortlessly, without the need to lever or pull it out like a conventional corkscrew. The Magnetic any-way bottle opener has a unique opening edge of 360° stainless steel, which means, that bottle caps allow to be quickly removed from every angle. The magnetic head can hold up to 4 bottle caps at the same time. 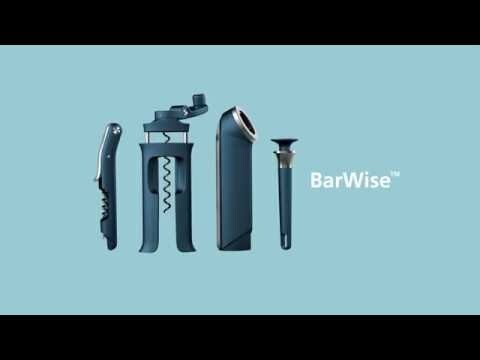 The BarWise collection by the manufacturer Joseph Joseph is a modern and innovative series of bar accessories that make the opening of bottles easy and simple. 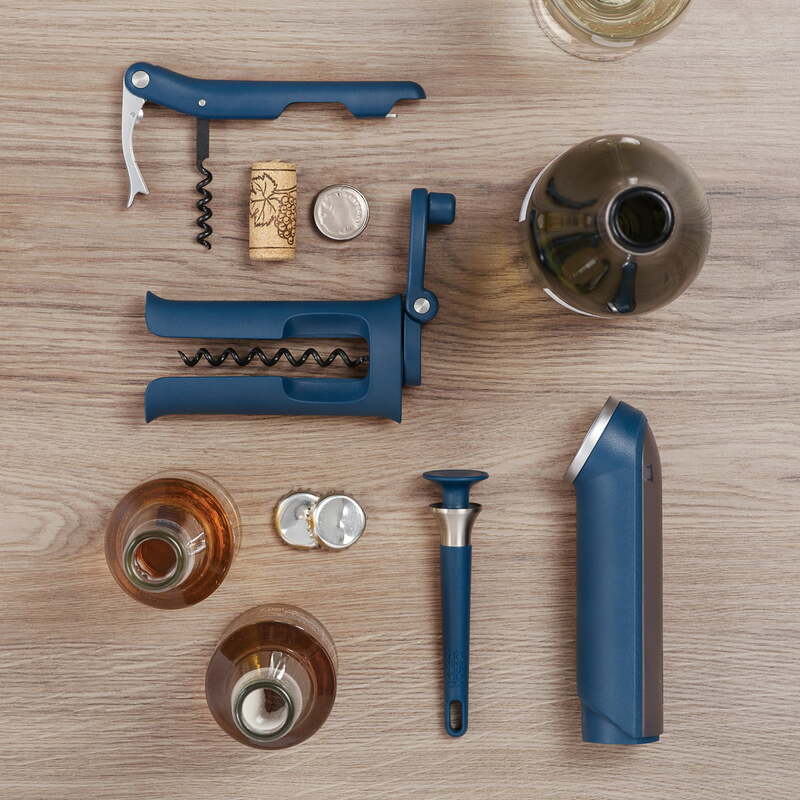 The 2-piece BarWise bottle opener set by Joseph Joseph includes the BarWise Magnetic bottle opener, as well as the BarWise Easy-action corkscrew in blue. The set of two openers allows you to open any imaginable bottle and they make not only for a great gift, but they are also indispensable for your own house bar.